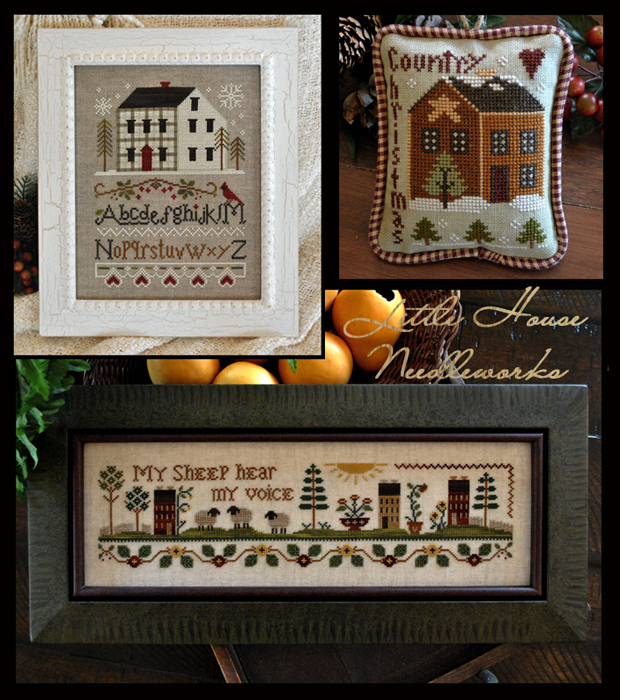 Little House Needleworks: September Releases! The photo features Winter Plaid, Country Christmas and My Sheep. 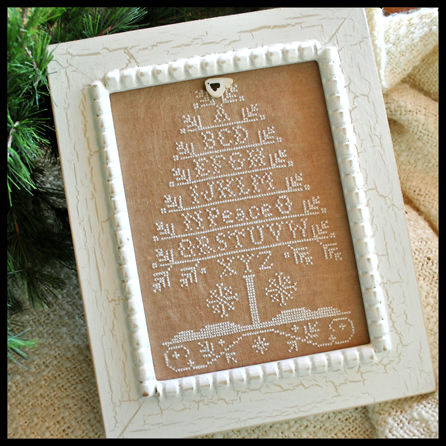 And have you seen the new little kit called Peace Tree? It contains the chart, silk and button. . . . . you supply the frame or finishing. Shops: this is available only at Hoffman Distributing. I love all the new designs. And thank you for posting here. I'm not of FB either. Winter Plaid is demanding I get her here, stitched, finished & hanging on my wall ASAP,lol. Fabulous Designs! beautiful. I really love the tree sampler. Three new favorites for me - already added them to my wish list! Thank you for showing the new realeases here on your blog! they are all spectacular!!!! thannk you for showing here! Just had to tell you how much I love all of your new releases Diane. They're wonderful!